Light Townsend Cummins knows Texas history. The Guy M. Bryan Chair of American History at Austin College and a member of the College’s history faculty since 1978, the professor served a term as Texas State historian. A lifetime Fellow of the Texas State Historical Association, he also is a member of the Texas Institute of Letters and the Philosophical Society of Texas. 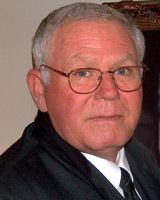 He has received many honors for his teaching, including being named a Minnie Stevens Piper Professor in 2006, and for his scholarly work, which includes work as the author or editor of eleven academic books, including A Guide to the History of Texas, and several dozen scholarly articles dealing with Texas history, along with two best-selling college textbooks, popular-oriented essays, and numerous book reviews. Discovering Texas History is organized into two sections, one topical and one chronological. All but one of the nearly two dozen essays were specially written for this book. 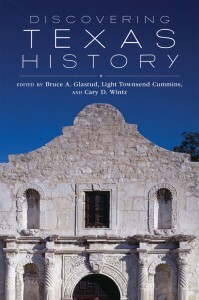 The topical section addresses themes of Texas history ranging from Native Americans, Mexican Americans, African Americans, Texas women, European immigration in the 19th century, Texas urban history, and Texas military history. An essay covering literature, the visual arts, and music in Texas was written by Light Cummins and Victoria H. Cummins, also a professor of history at Austin College for more than 35 years. Chronological essays cover the full span of Texas historiography from the Spanish era through the Civil War, to the Progressive Era and World Wars I and II, and finally to the early 21st century. The essay “Recent Texas, 1981 to the Present,” was written by the book’s editors. The book has a few other Austin College connections in addition to the work of Light Cummins and Victoria Cummins. Two former faculty members are among the authors: Matt Babcock, who was a visiting professor of history and now teaches at UNT-Dallas, and Richard Wright, who taught art history at Austin College and now is on the faculty of Texas A&M International University in Laredo, Texas. A faculty grant-in-aid from the Sid Richardson Fund at Austin College underwrote the index for the volume. In addition, the book’s acknowledgements make special mention of the contributions to the book of Jay Dew, acquisitions editor of the University of Oklahoma Press, who graduated with a B.A. in history from Austin College in 1994. He later earned a Ph.D. in history and has been a proponent of Texas history throughout his career.